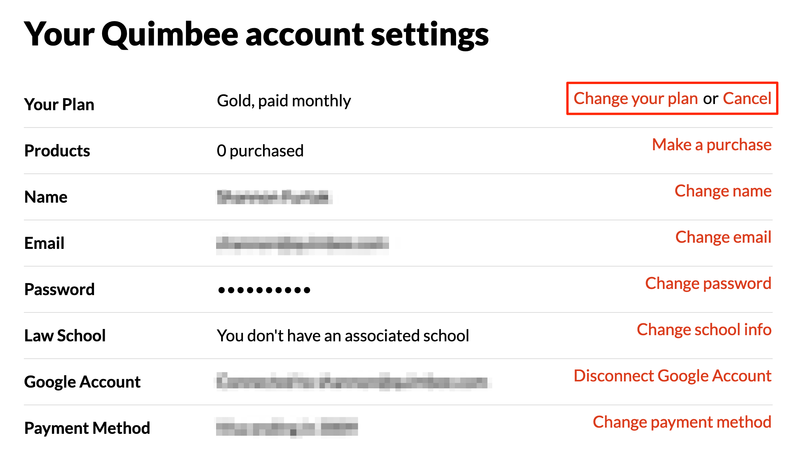 You may cancel your Quimbee subscription at any time from your Settings page or by contacting us, and the cancellation will be effective at the end of your billing period. You will have service through the end of the billing period that you've already paid for. Please note that you will receive an email confirmation of your cancellation. If you don't receive a confirmation email, please get in touch because your cancellation may not have been successful. According to our Terms, payments are nonrefundable, and there are no refunds or credits for partially used periods. You may not pause a subscription or put it on hold, but you may cancel and reactivate it as needed from your Settings page.